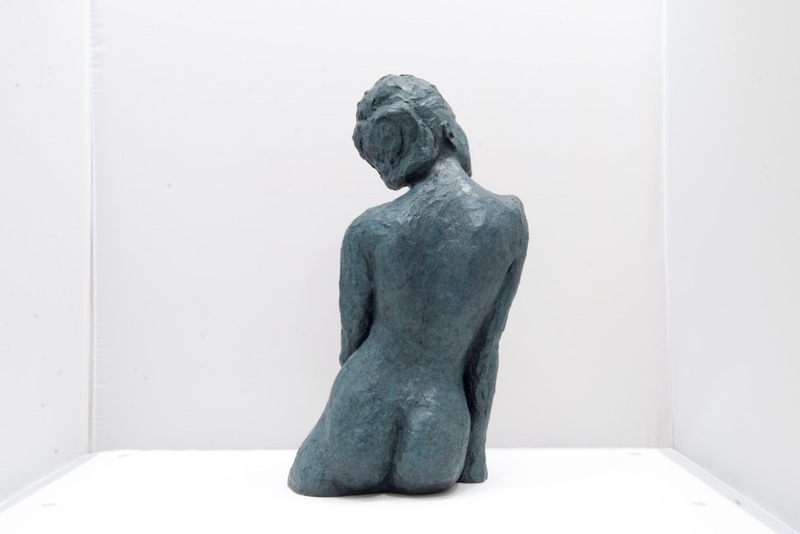 Gaud re-interpretes live models' postures or creates new characters from scratch in a modern way yet using an ancestral-like finish, giving her pieces a bronze-colored patina. As a painter, she is well experienced with color brushwork and rediscovers fine art painting stakes in the patination process. 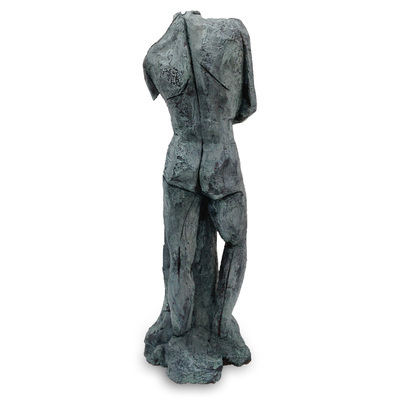 To her, an aesthetic and well-thought finishing is as important as the volume of the sculpture. 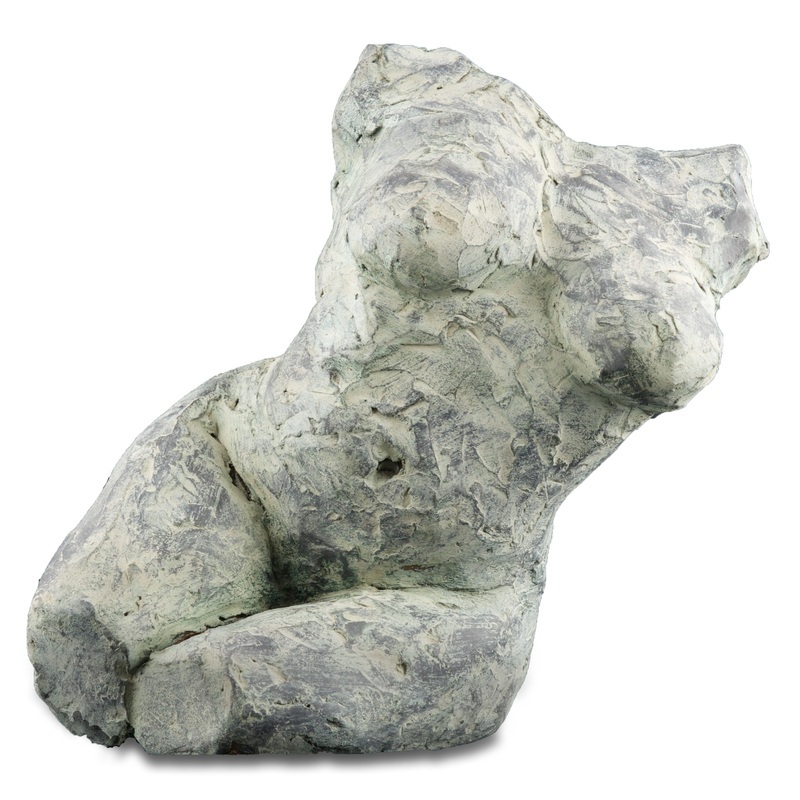 Her patina consists of applying successive layers of colored pigments to obtain the expected bronze effect. She ensures that the clay or plaster hand touch stays visible, harmonious and vibrant all around the artwork, focusing on greatest detail. Her patina brings an ultimate sensible and refine aspect, underlining the shapes and the light's reflection. 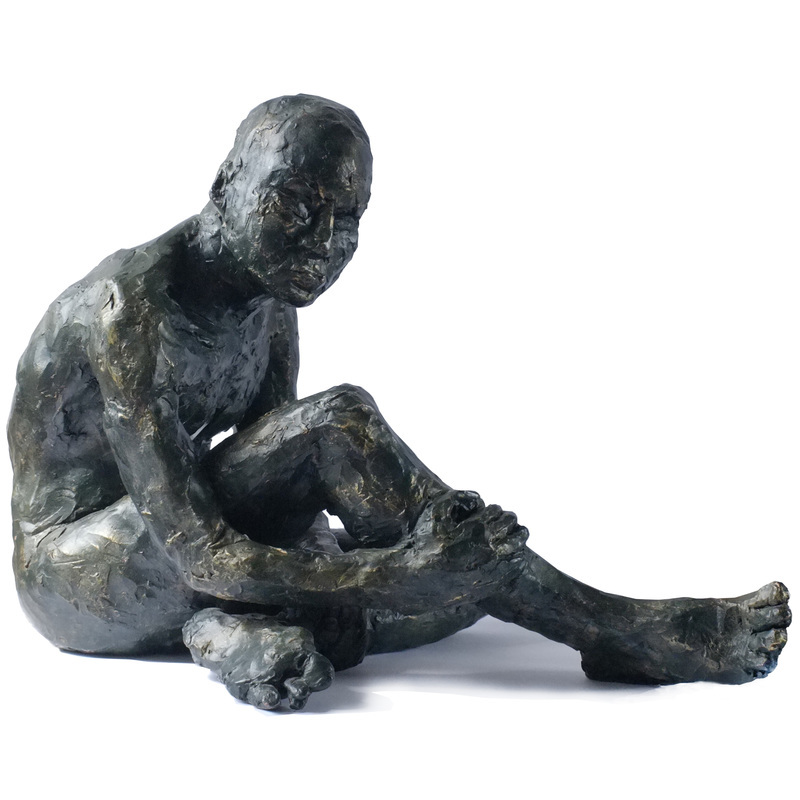 There is a sense of life and humanity in the figures Gaud creates which often seem quite pensive and deep in thought. For some of them, it is as if for a very brief moment, the weight of introspection has been released and some thoughts have been revealed. Therefore, Gaud communicates through the sculpture and unfolds a new dimension of communication between the artwork and the viewer.